Refresing and uplifting with delicate pomegranate and red apple notes. Elegant with a fine, creamy mousse. Traditional grape varieties are hand-picked in the morning at the beginning of harvest season. Only the free run juice is used for this MCC product - aproximately the first 500 litres per ton. 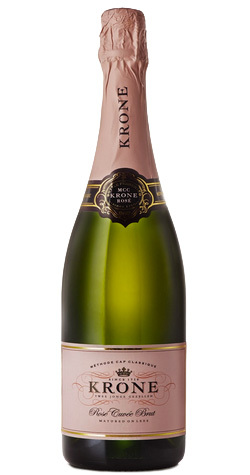 Krone Night Nectar is bottle fermented and then matures on the lees in underground cellars after which, prior to dégorging, the bottles are packed in wooden pupitres (turning racks) and the rémuage (turning of bottles) is done entirely by hand.